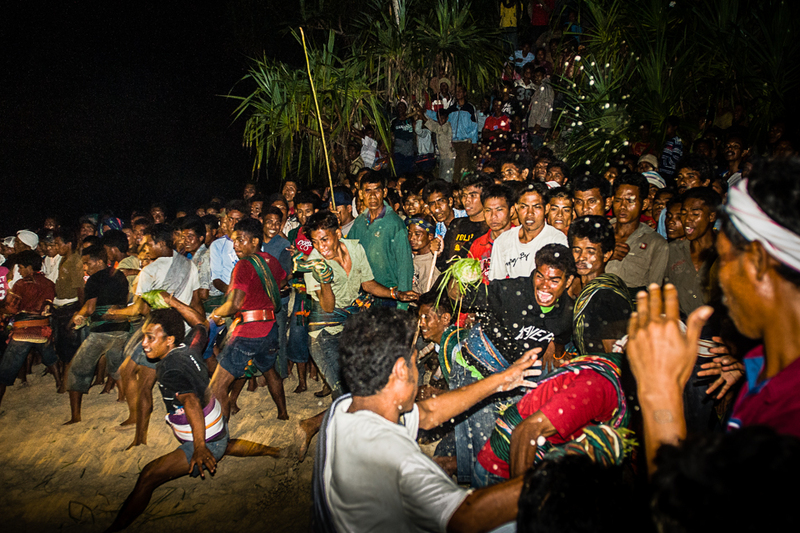 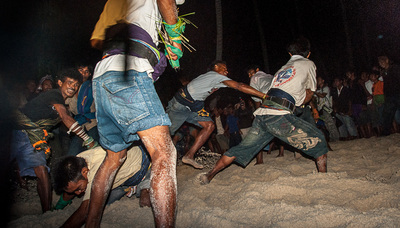 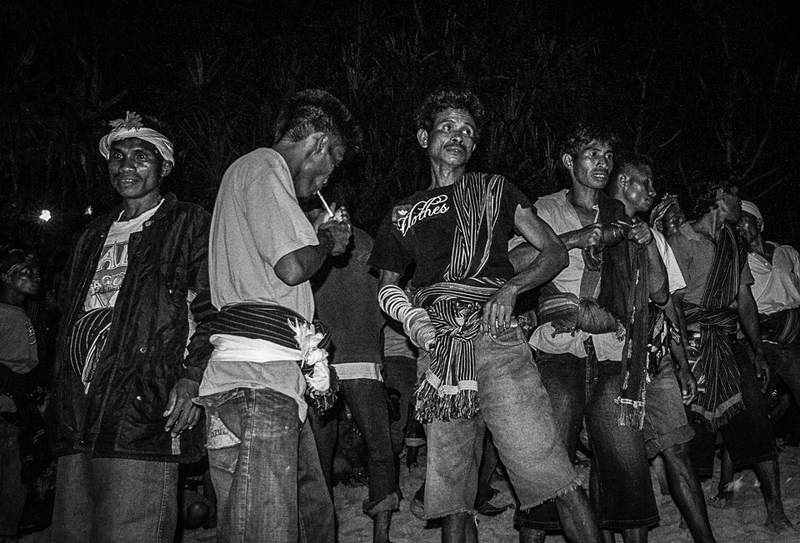 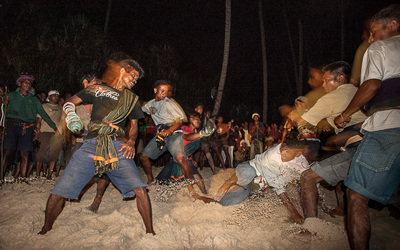 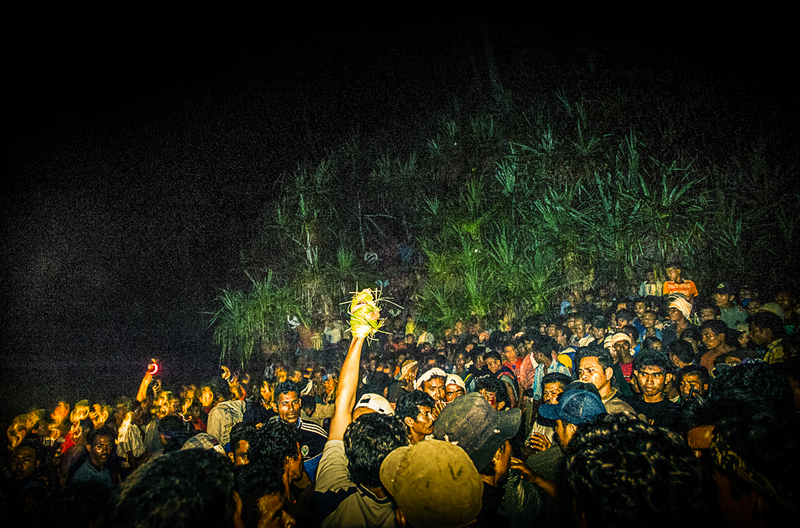 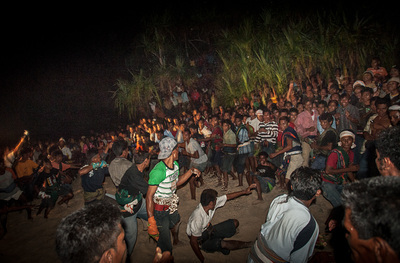 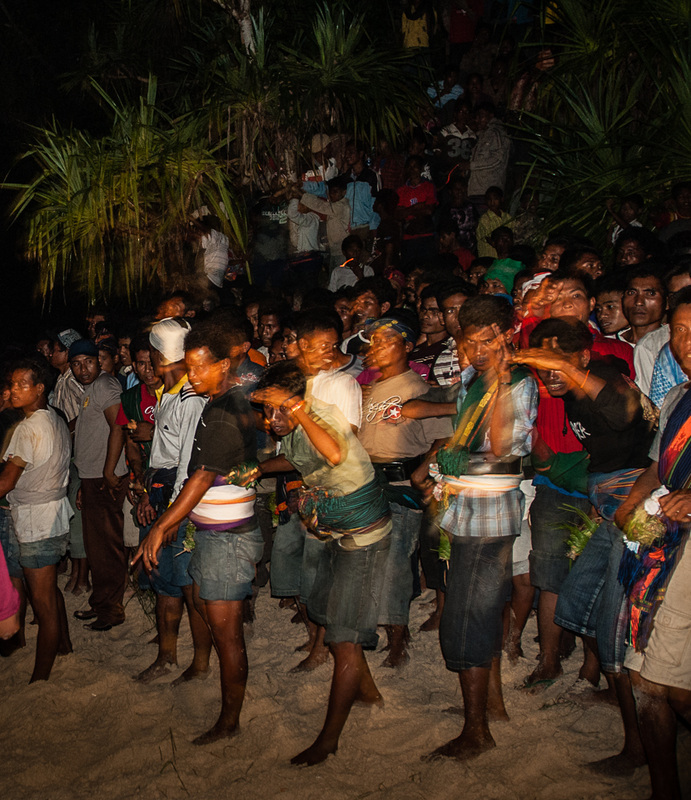 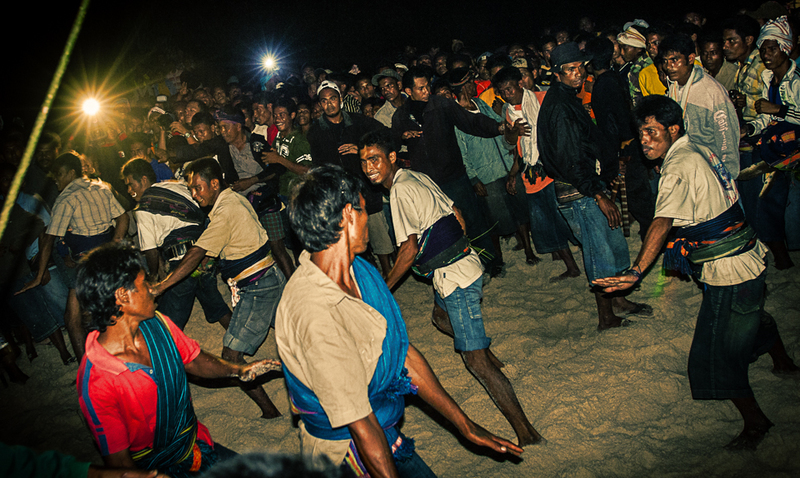 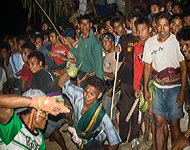 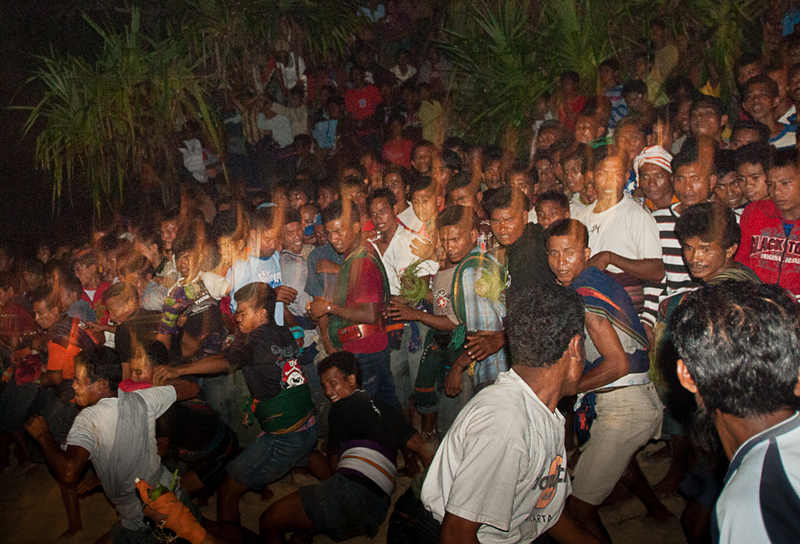 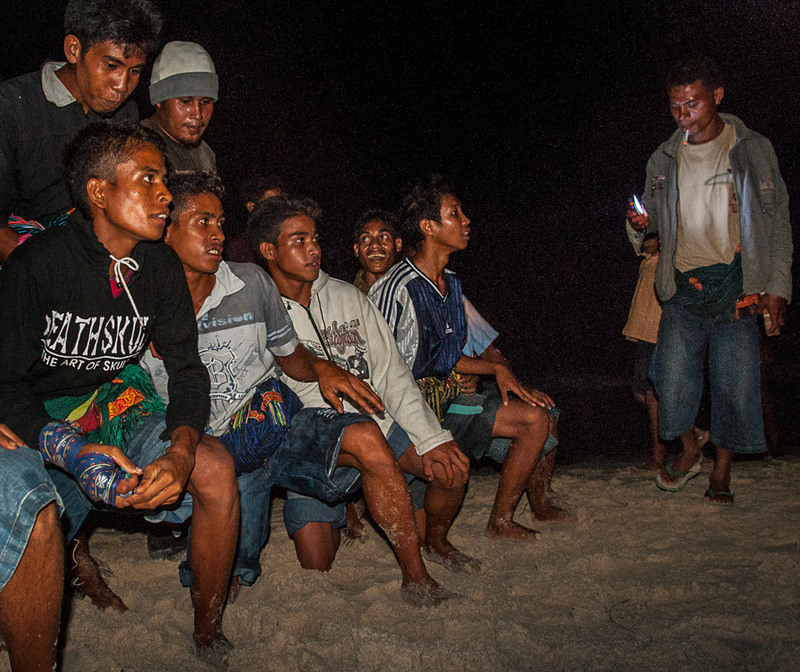 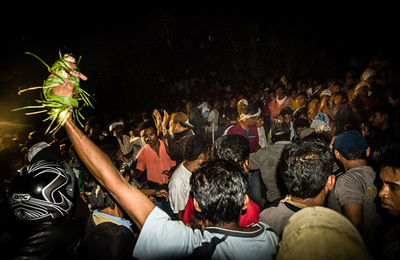 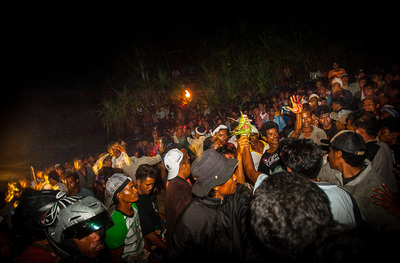 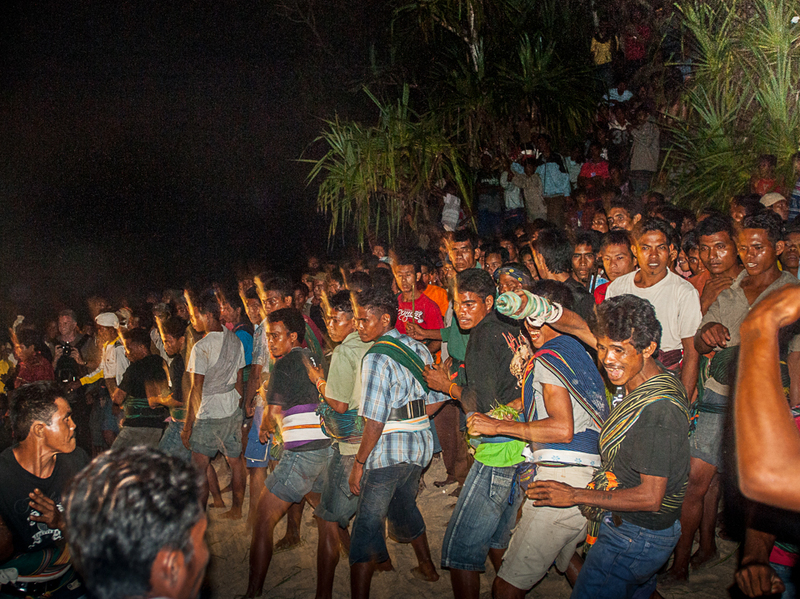 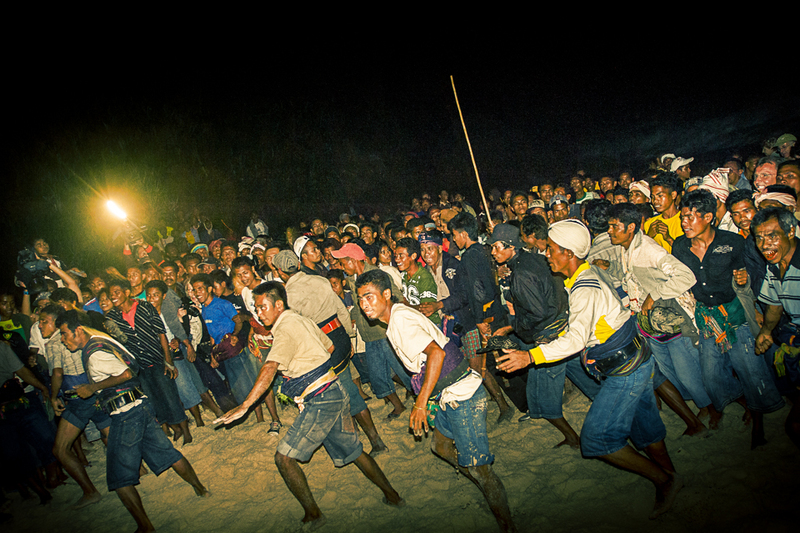 The night before the Pasola, Sumbanese men from various different tribes come to a secluded beach for a boxing match or ‘pejura.’ The fighting is done in the darkness. 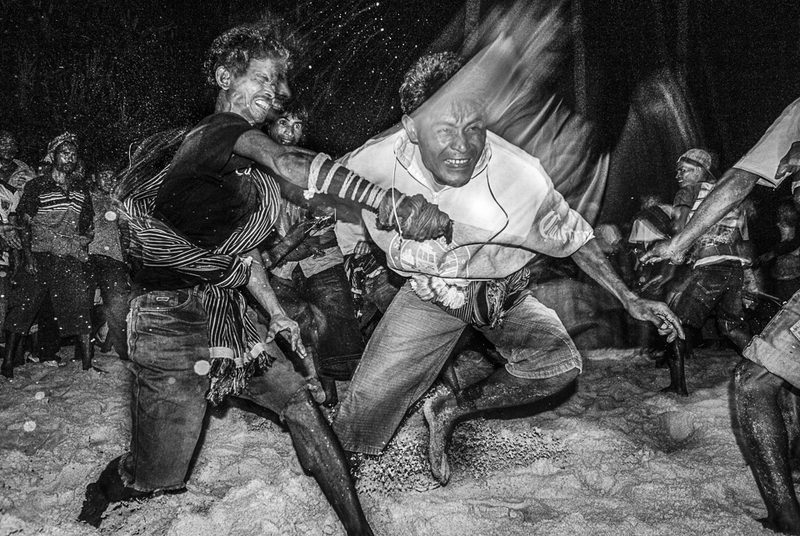 The women’s screams remind me of the Indians when attacking in old western movies. 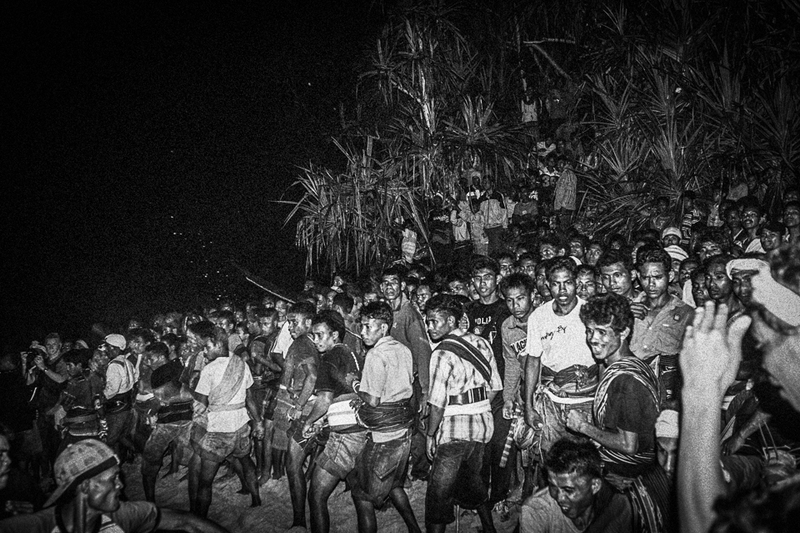 The atmosphere is eerie. At one point, in order to get a good vantage point, I crawled on all fours on the sand between the fighter’s legs. At one point, I was trampled on. 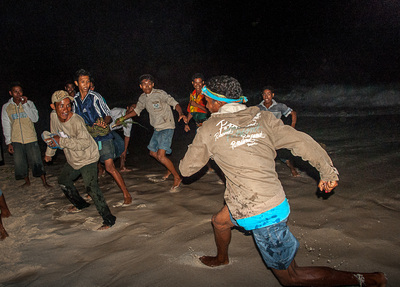 The camera and my face were pushed into the sand. I almost chocked. 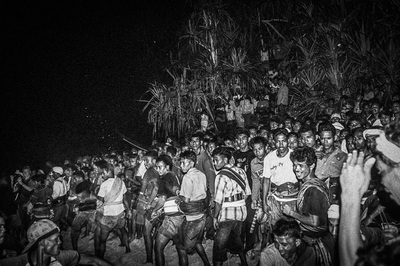 Of course no one heard my cries. My guide, Andy was nowhere in sight. 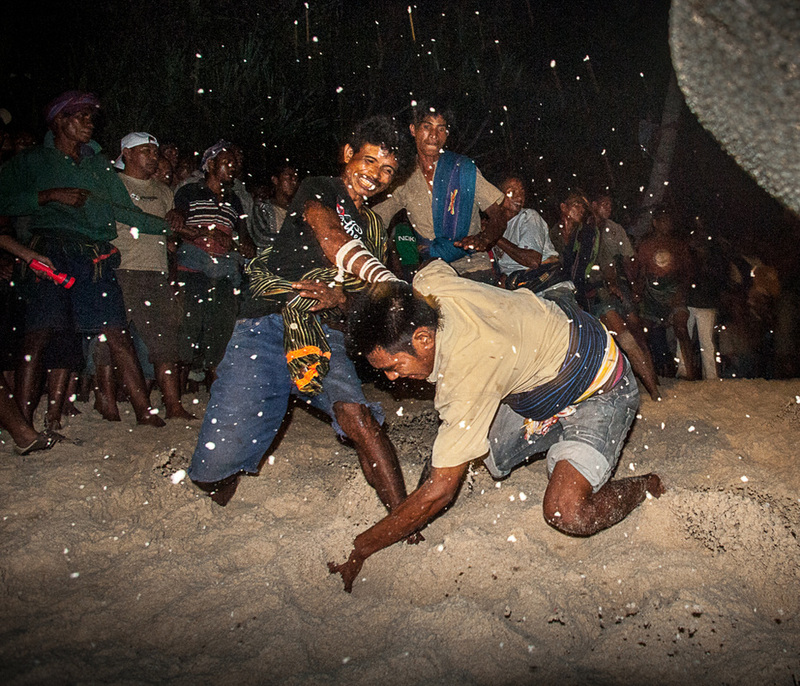 He had decided to join the guys in the fighting match. 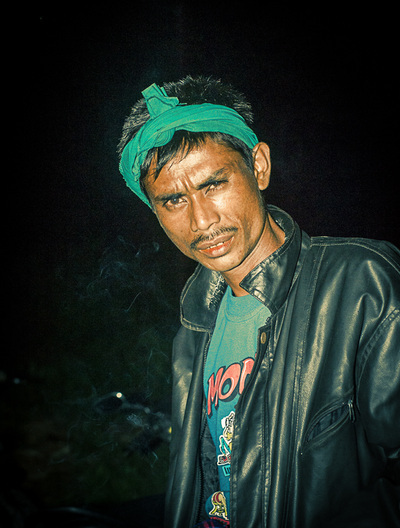 I then decided to stop taking photographs. 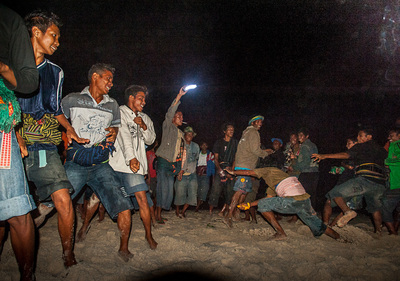 I lay on the sand all night. 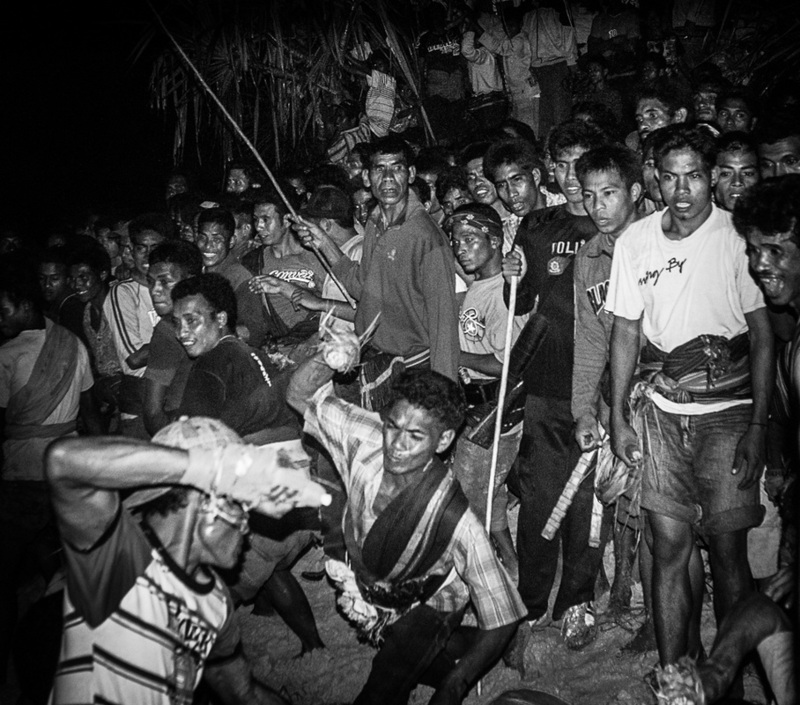 I feel asleep with the cries and shouts of the adversaries.